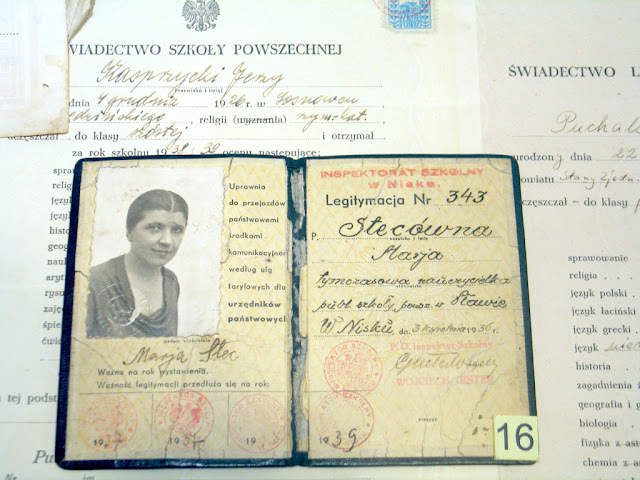 For a start, let's look at Marja Stec's Identity Card. This document stated that Ms. Stec was a temporary teacher at the time and allowed her to use public transport at reduced prices. The interesting thing is that the name is no longer used in this form. 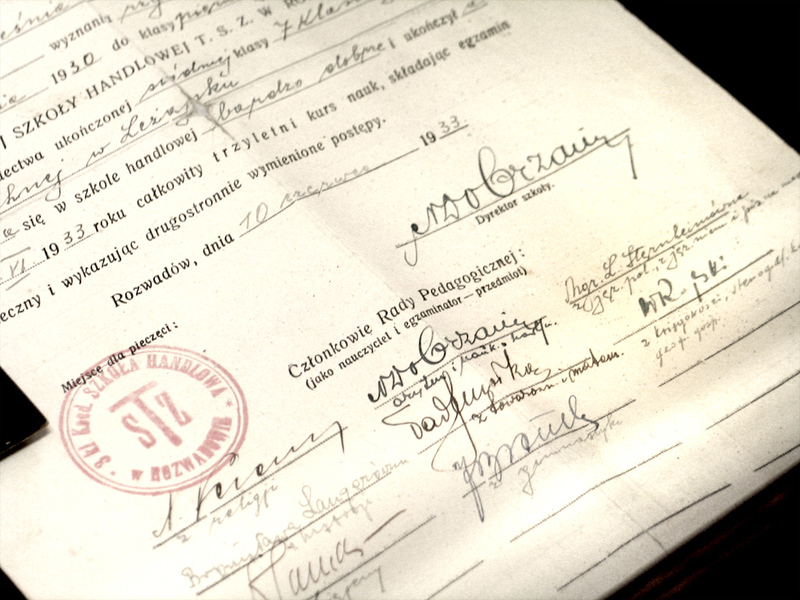 Today, the name in Poland exists as "Maria", rj ligature was simplified to ri. What's more, you'll also find a couple of ligatures unique to Polish language in the school report of Jerzy Kasprzycki from 1939 – rz and sz. 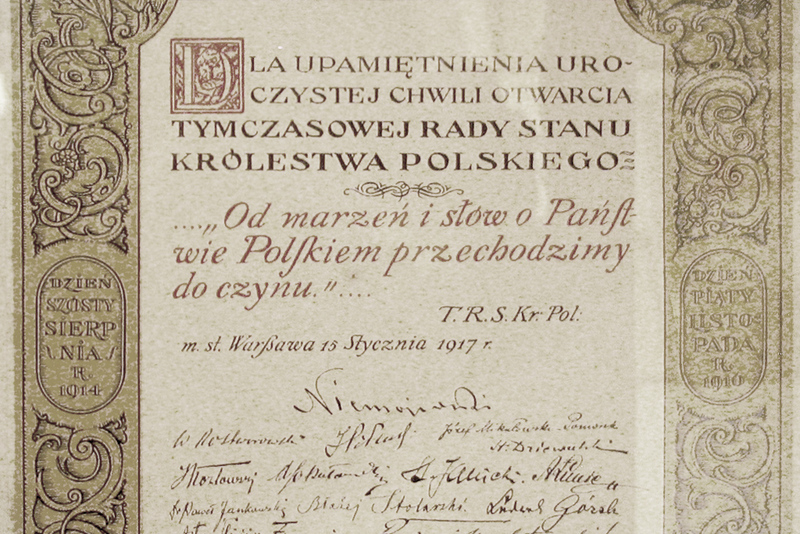 Moving on, let's take a look at the document commemorating the creation of a Temporary Government of Polish Kingdom in 1917. Just look at the fabulous typography, calligraphy and ornaments! What's interesting here is the usage of ligatures of st in Państwie and sk in Polskiem words. There's also a small detail in Warszawa word, where the designer uses ß instead of sz ligature. If you want to know more about the origins of ß, you can read it here. 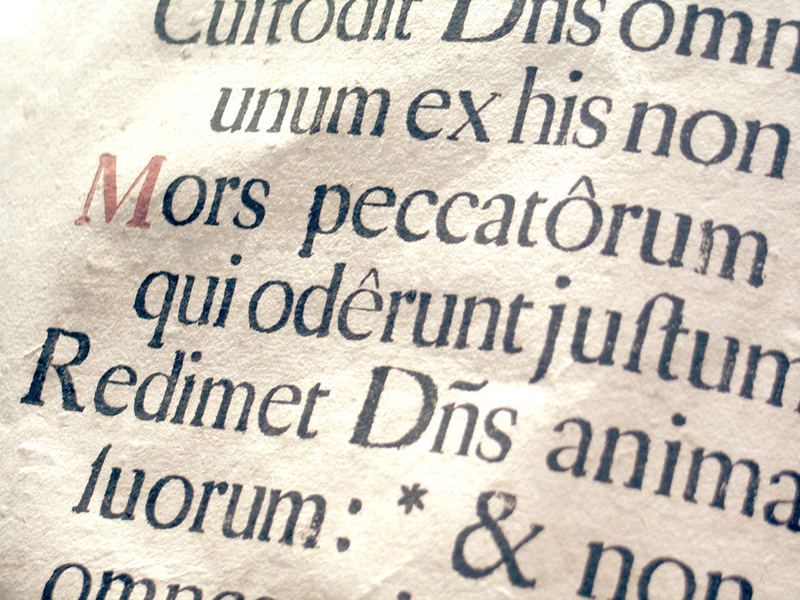 Still moving back in time, there's a beautiful example of calligraphy from 1908. The friar here used a Latin name, Aloysius. 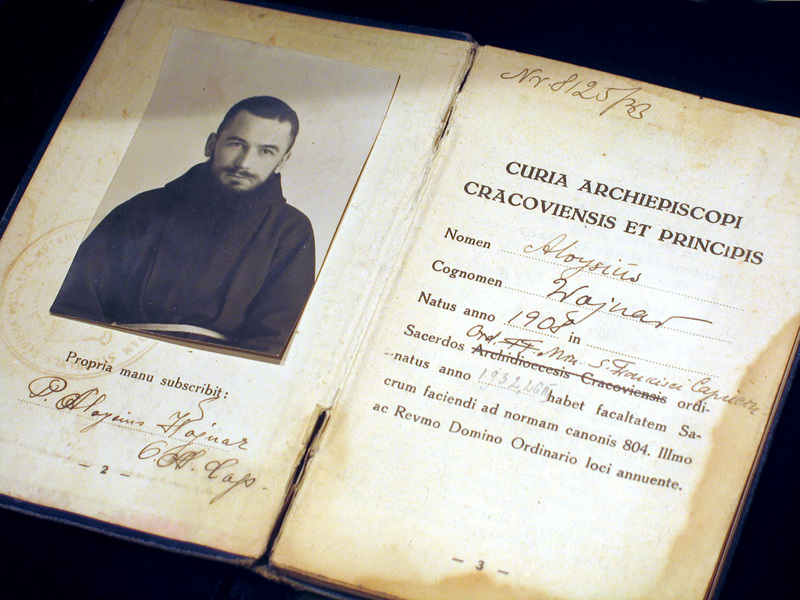 The ID card was issued by the Archidiocesian Curia in Krakow. 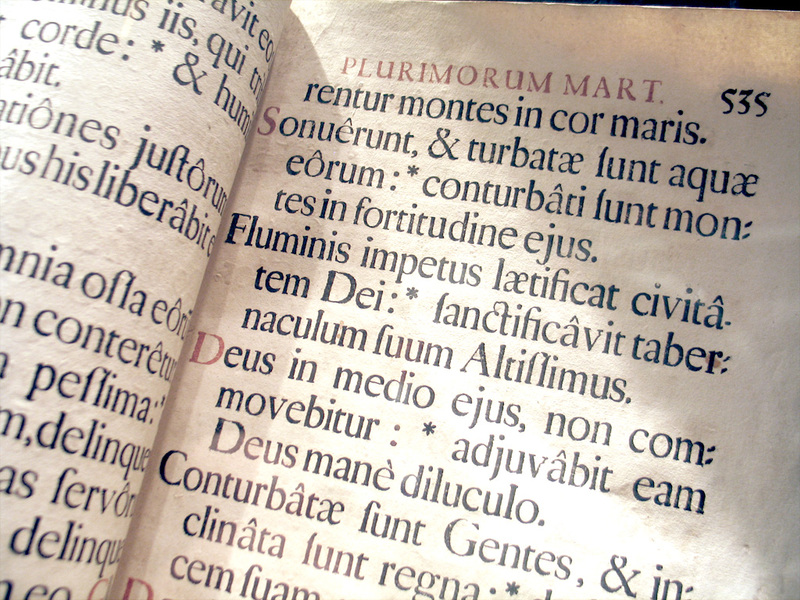 Friar Aloysius had a Polish second name, but look how differently it was written. 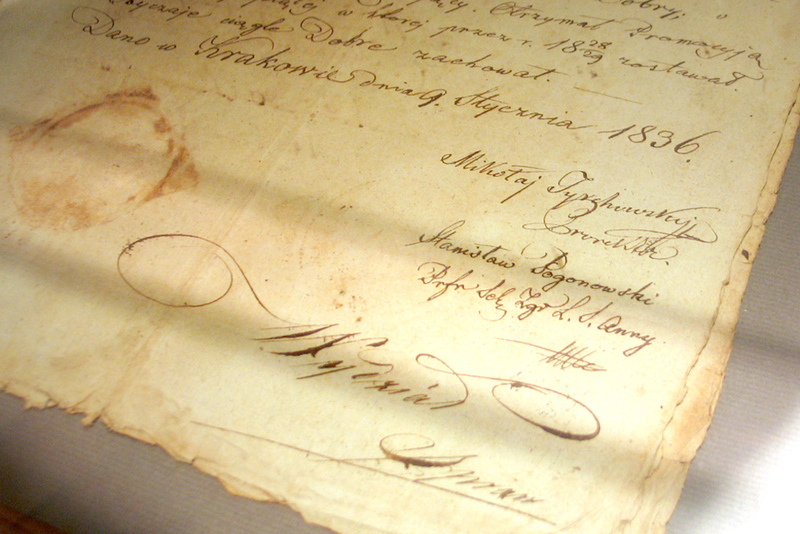 W in his own signature might also resemble capital H.
What you see here moves us back to 1836. 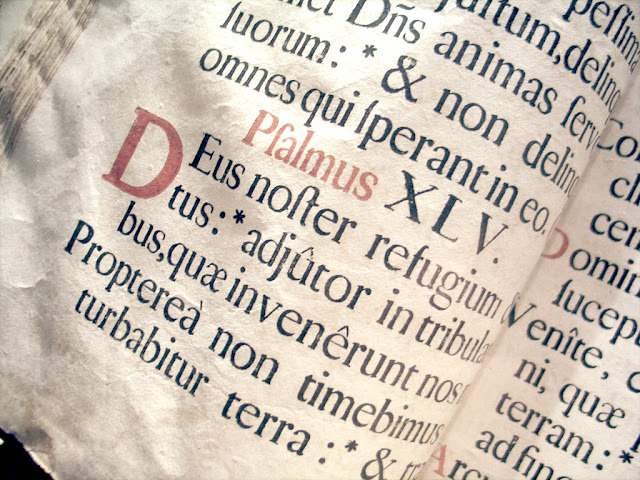 This astonishing example of calligraphy is actually a high school diploma. 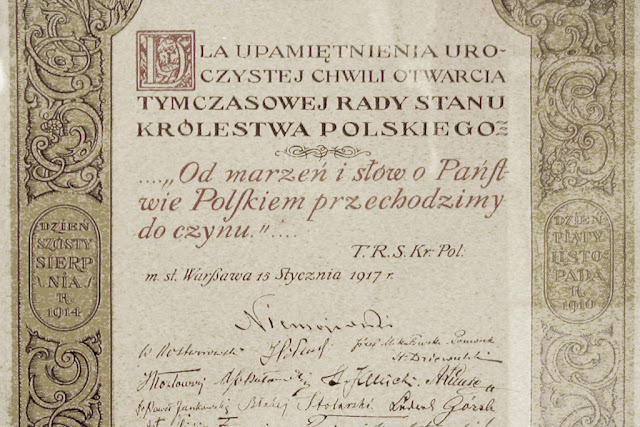 High school diploma from St. Anna Krakow High School issued in January 1836 for Maciej Majewski by the vice-rector of the school, Mikołaj Tyrchowski. And finally, the last (but not least) example I have is a breviary from 1725. Not a Polish language example, but used in Poland in the Monastery of Friars Minor Capuchin in Rozwadów. The beauty of the letters, their forms and overall composition of the page is staggering. Look how carefully individual letters were composed in the sentence. As you can see, the usage of just two colors and properly designed layout is enough to make it beautiful. The fascinating thing is how paragraphs, sentences and white space around them was used. I hope you'll find it inspiring for your own designs, calligraphy experiments or research on the subject of typography. Feel free to leave a comment if you like. If you have some other other examples of Polish calligraphy and typography, please send me an e-mail or a link to a website. Thank you for reading and see you in the next post! All the pictures from this post were taken in Regional Museum in Rozwadow.